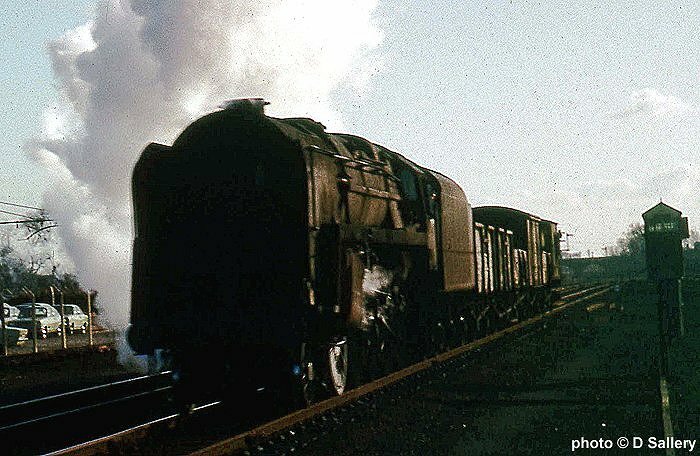 Two class 9F 2-10-0's head through Hooton towards Birkenhead shed. 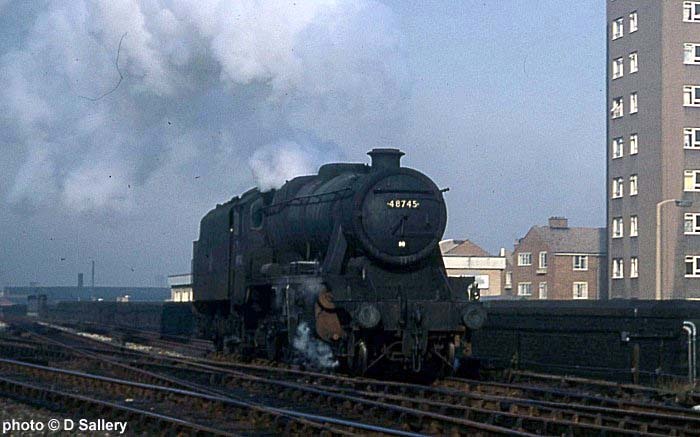 42647 on a Birkenhead Woodside to Paddington express at Hooton in March 1967. 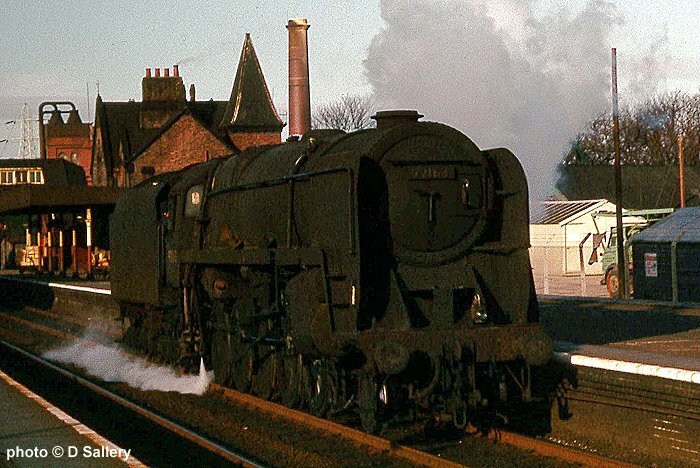 This loco would haul the train as far as Chester. 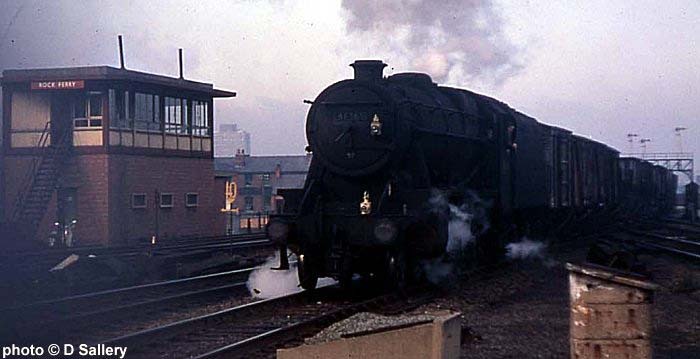 92163 passes Hooton. This station is now electrified as part of the Merseyrail network. The two tracks in the foreground remain as part of a headshunt and run round. 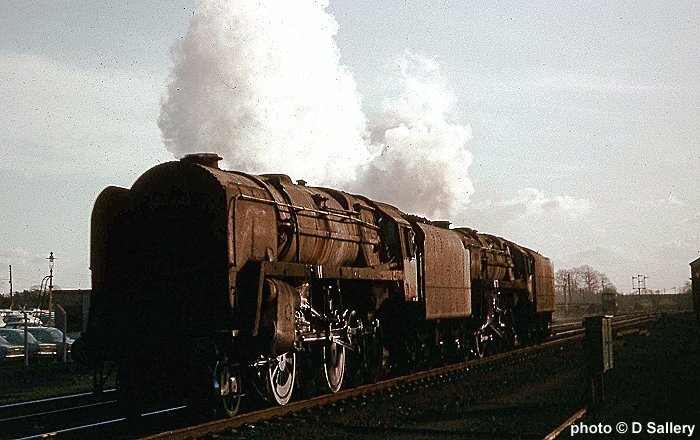 A Class 9F on a short freight. 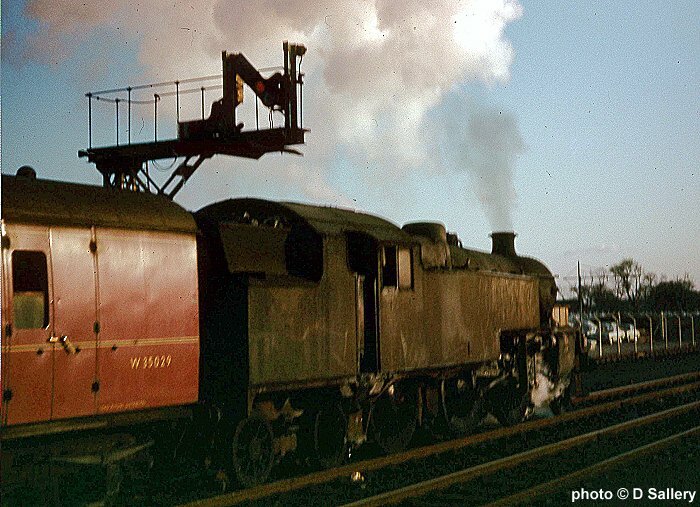 D1710 hauls three 9F's, 92024, 92101 and 92113, through Rock Ferry on the final day of steam at Birkenhead shed - November 5th 1967. 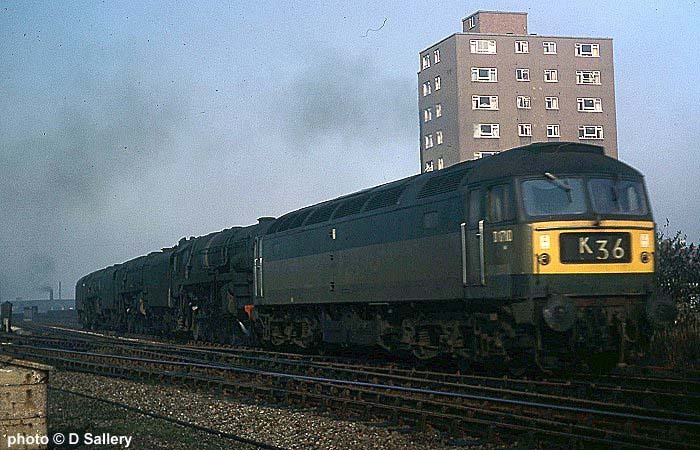 92113 had been withdrawn during the first week of October 1967, 92101 had been retired during November 1967 and 92024 remained in service until Birkenhead closed to steam. The previous day Birkenhead Woodside had closed. 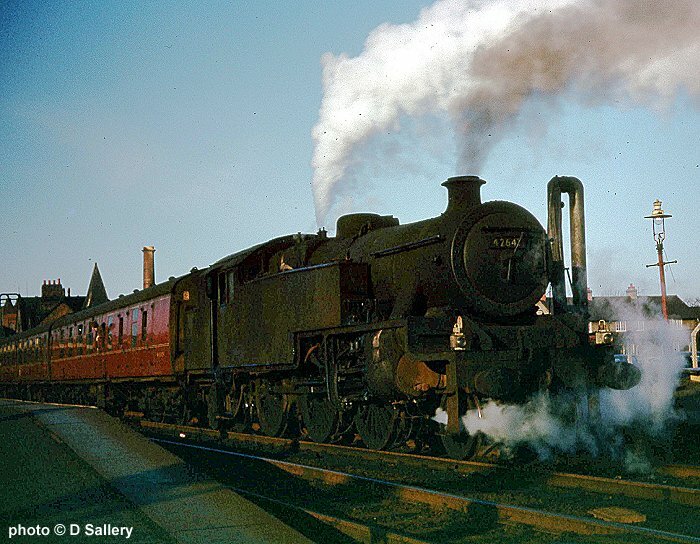 48745 at Rock Ferry, November 5th 1967. 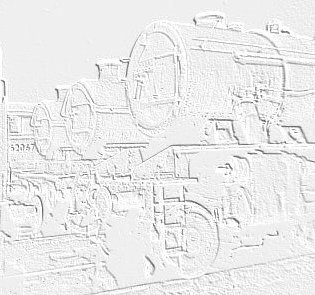 48465 heads one of the last steam hauled freights out of Birkenhead. 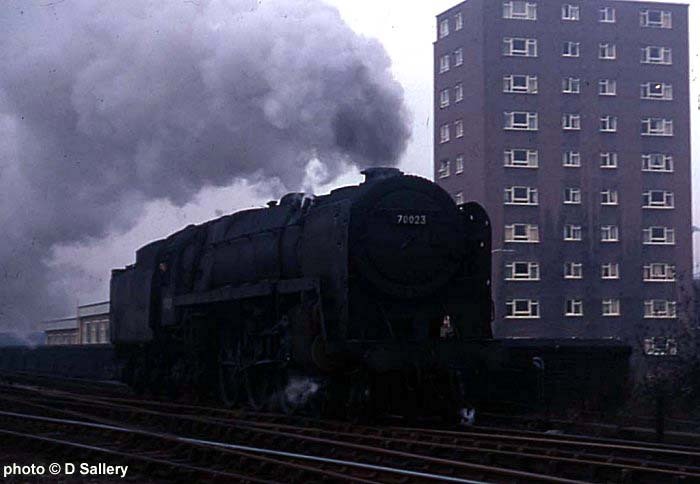 70023 "Venus" at Rock Ferry.